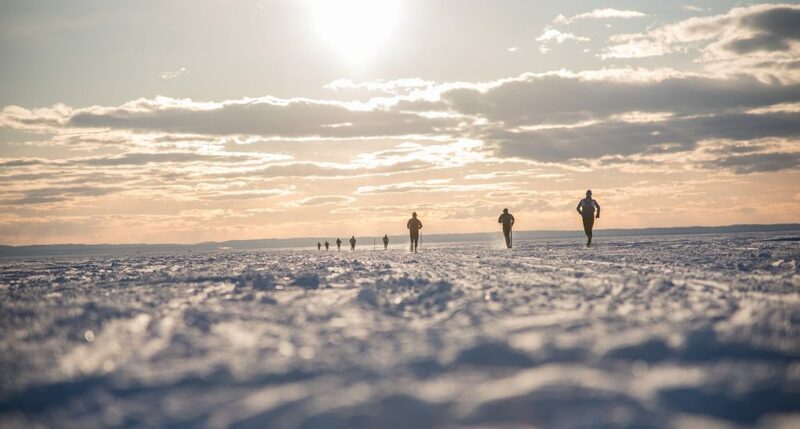 The CRYO Races are a truly unique event in which we offer runners to make a winter crossing of Lake St-Jean in the dim light of winter. Illuminated by headlamps, the participants will find themselves in the middle of a sea of ice facing the physical and psychological challenges of this crossing on February 23, 2019. Running on groomed trails, they will be supervised and supported no matter which distance they choose. Since 1996, the On the Tip of the Toe Foundation has organized more than 50 therapeutic adventure expeditions for young people living with cancer. Much more than outdoor adventures, these excursions offer participants an opportunity to meet other young people who share the same realities. The On the Tip of the Toe Foundation aims to help young people rebuild self-esteem and restore their hope in life by presenting them with challenges and helping them to meet those challenges. By participating in extraordinary expeditions to the extent of their abilities, these young people discover new horizons. Even though our routes are groomed, the fact remains that running on the snow is not easy! Both physically and psychologically demanding, the challenge of the winter crossing of Lac Saint-Jean requires great mental strength. Eyes on the horizon, runners must ignore the cold and fatigue to complete this mythical crossing.